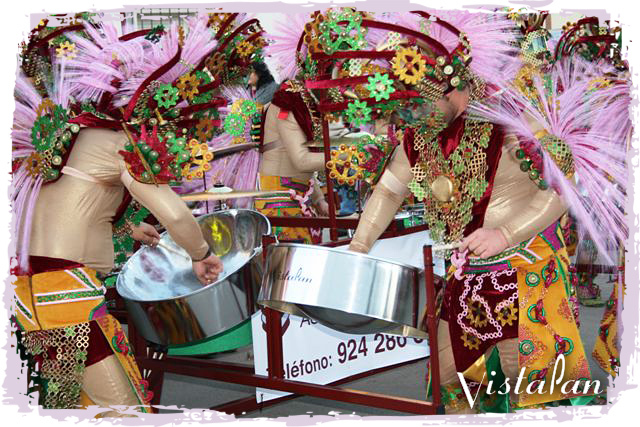 Las Monjas performs with their VistaPan steel pans at the Carnival celebration in Badajoz, Spain. VistaPan provides steel pans (steel drums), steel band drums and steel pan accessories to schools and universities, community steel drum bands and steel pan musicians across the US and to 37 countries worldwide. All of our steel pan instruments are full size and made by Trinidadian pan builders and tuners to have superb sound quality.